I started reaching out and succumbing to the enchantress of the world of photography when I joined the photography group of Granada. I am mainly interested in old photographic techniques and I understand the chemical photographic procedure as an image craftsmanship. My first steps in the world of photography developing took place at Madrid’s social and cultural center, La Casa Encendida (June 2012). Later on, I spent a few of months in Berlin where I improved the Cyanotype technique thanks to a course by the artist Kirsten Heuschen (October, 2013). As well, I collaborate with the Platform for Abstract Photography. 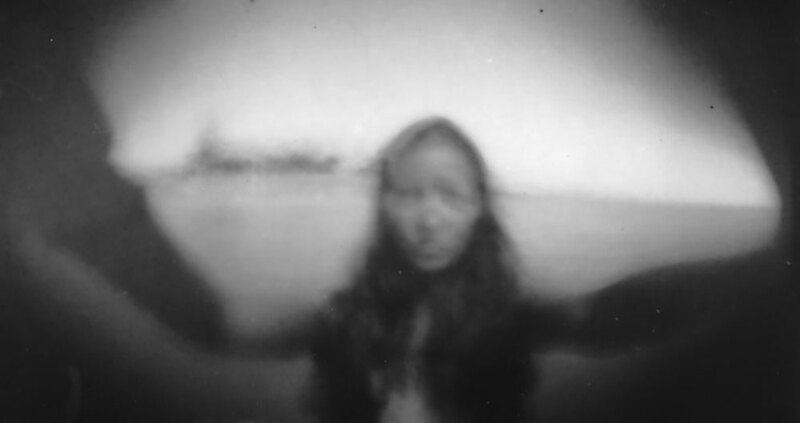 In September, 2014, I had the opportunity to attend a workshop on pinhole camera given by Ilan Wolff, it was the time where magic began. This magic continues in February-october 2015 through a travel. I was living during some periods in Basque Country, in the nort of Spain, where I knew better Chillida´s work and the fog forest. The fog converts every moment in a unique experience. In the meantime, I am carrying out some research in my private laboratory regarding different chemical processes mainly with monochromatic photographs and in black and white. I also create and make my own cameras. I participated in several collective exhibitions where I gained various awards and was an accessit. In May, 2014, I launched my first individual exhibition called Limits in Granada (Spain), which has been receiving a media coverage on both national and international levels up till the present. Currently, and since 2014, I am working on a pinhole project called Tea Tin with more than a hundred photographs taken during an eight-month trip around the world. Cinema has been my other source of images. I have attended several workshops on image in silent films and cinematography given by Raul M. Osorio (La cineteca Granada) as well as by Juan de Dios Salas (University of Granada film club). I used to go to cineforum in Fine Arts University by Victor Borrego. Since 2009, I collaborate as a volunteer with the Granada Film Festival Cines del Sur.